Lowell Satler, MD, is Medical Director of the Cardiovascular Training and Educational Center and Director of Coronary Interventions at MedStar Washington Hospital Center in Washington, DC. Dr. Satler was one of the key physicians in the launch of the Structural Heart Disease Program, which advocates the use of percutaneous techniques to treat valvular disorders when standard surgery is not recommended. In collaboration with Children's National Medical Center, he developed the Adult Congenital Heart Disease Program -- the only program in the region designed to follow patients with congenital heart defects from birth to adulthood. This program is fully staffed by congenital heart cardiologists to meet stringent requirements for multidisciplinary care. 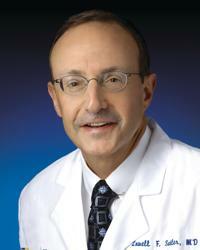 In addition to his clinical work, Dr. Satler is an active investigator and serves as principal investigator for 21 interventional cardiology research protocols to improve patient outcomes in the treatment of coronary artery disease, congenital heart disease, carotid artery diseases, and other conditions. In collaboration with AT&T, Dr. Satler developed CodeHeart, a wireless application that allows physicians to view ECGs and participate in real-time videoconferencing over a secure network. This technology was designed to improve heart attack diagnoses in the field, but can be used in all aspects of medical care to facilitate communication between experts and remote locations, thus enhancing treatment provided by first responders and shortening patient waiting time for treatment. Dr. Satler writes and publishes extensively on the topic of invasive cardiology. His repertoire includes more than 300 scholarly publications in peer-reviewed journals and nearly 400 abstracts. In addition, he serves on the editorial boards of several cardiology journals, including the Journal of the American College of Cardiology,Catheterization and Cardiovascular Intervention, and the Journal of Invasive Cardiology. He is certified by the American Board of Internal Medicine in Cardiovascular Diseases and Interventional Cardiology. He is a member of Alpha Omega Alpha, the American College of Cardiology, the American Medical Association, the American Heart Association, and the American College of Physicians. Dr. Satler earned his medical degree from Albany Medical College in New York. He completed a residency in Medicine at Albany Medical Center and a Cardiology Fellowship at the University of Alabama in Birmingham, AL.